ikea, originally uploaded by shooting brooklyn. Ah the lovely view of Red Hook and Manhattan. All the vista needed was a splash of color, don't you think? Well, we sure have that now. 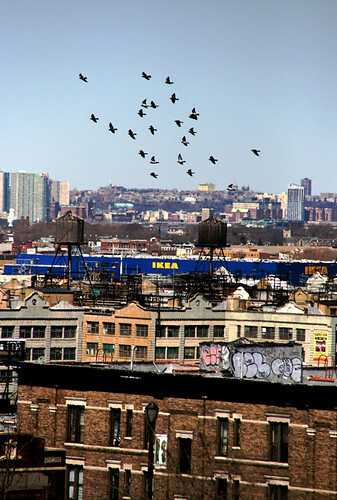 This is a photo from the Best View in Brooklyn photo pool on flicker. If you have great photos from around Sunset Park, join in and add them. I find the Ikea view infuriating. Maybe they'll change their colors to Stone and Brick. Terrible colors, but great picture! Great View ruined by commercialization. New York is being sold to the highest bidder.